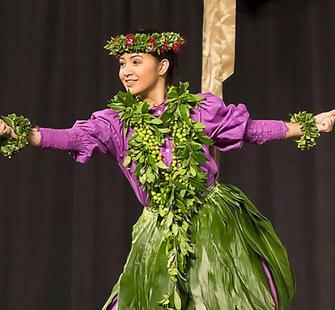 Kauʻi Isa-Kahaku has received formal hula training since the age of six. She is the kumu hula of Halau Na Wai Ola, an award-winning hula school located in San Jose’s Japantown. Together with her husband and daughters, she has created a community based on service, infused with traditional Hawaiian values, and dedicated to the perpetuation of the art of hula as well as the spirit of aloha. In Hawaiian culture, the colorful, tropical ti plant has always been thought to have great spiritual power. It has been used throughout centuries for spiritual protection, healing, and purification. Its leaves have many practical purposes, such as wrapping food, making hula skirts, and creating beautiful leis. In this class, students will hear legends about the ti plant, as well as learn more about its uses. They will also learn Hawaiian lei protocol, how to prepare the leaves, and then create a ti leaf lei that is both wearable and aesthetic.